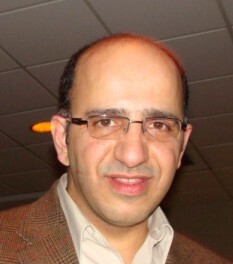 Kavoos Soofi immigrated to Canada from Iran in 2004 through a student visa. It expires every 2 years. In 2006, he renewed his visa and applied for refugee status. He was rejected outright and appealed through PRRA, a form of a pre-risk assessment format. A few weeks ago, he went to get the results and the authorities said it was rejected again. They then told him to go to Ottawa to get his travel documents, and prepare to travel back to Iran. When he explained his situation would be dangerous in Iran, they arrested him and placed him in Rexdale Detention Center. There is a planned protest at 6900 Airport Road Immigration office @ 230pm on Tuesday January 31st. All is welcome. Join the petition to save Kavoos from deportation at: http://www.kavoos.org/ . An area businessman even stopped 100% his business activities at Sign & Print until February 7th. He offered his store at 6186 Yonge Street as the main quarter for this stop the Kavoos deportation campaign. Medi Shams can be reached at www.signandprint.ca , or you can call him at 416-512-9915. What Was The Last Straw For Tom Cruise?